My husband is a big fan of Dave Ramsey. He can quote him. I am not. I tend to loath him. My husband has tried to talk me into going to the Financial Peace classes and I am always dragging my feet. Seriously? 13 weeks of talking about MONEY? I think this is some sort of cruel torture. When our church had yet another Financial Peace class offered, I knew that Jake would ask me again, I would give him “the look” and tout a million reasons why we couldn’t or didn’t need to but then I thought about how happy he would be. I found out some of my best friends were taking the class – one of my friends is a therapist and she and her husband signed up – so I figured this would be a good class to take. We would require therapy and Renee would know why so that would help. Jake’s eyes shown brightly as I dropped the check in the offering plate. He was nearly walking on air. He finally was going to get me to change. I had a pit in my stomach for weeks leading up to class one. When class one rolled around, I let everyone know just how much I was dreading this. You see, Jake has always wanted to be a millionaire. And then he married me…and we promptly had four boys. That sorta is a “money hit”. He has planned our lives around much of what he has learned from Dave over the years listening to his radio program. He can literally quote his answers before Dave gets to it. I am the one who pays all the bills. I balance the checkbook and we have this system – I pay it, he doesn’t see it and we all get along grandly. Jake was working a ton and I was sitting at football practice at the time so I committed to this, “If I am going to take this class, I am doing it all the way”. I read the book. It is lined with my smart aleck comments. I read it very critically. Very very critically. I did all the homework. And about three weeks in I looked at Jake and said, “Hey, you wanted to take this class, we better get busy and actually DO this class,” and so began the first budget meeting. Did you read that last line? We. Didn’t. Even. Fight. Jake pretty much nearly had a heart attack when he heard our grocery bill until he realized we were living on five dollars a day per person for our entire grocery bill. If anything, he might have admired me a little. At least I hope so. People would see me with the Dave Ramsey book and cringe. Then they would say, totally shocked, “You are taking that class?” I would nod. “What do you think?” they would immediately ask because they knew I would tell them exactly what I thought. I told them I was shockingly enjoying it. We finished the class Sunday night. It was a nine week class, but some friends who have taken it before are hoping to get one of the videos from the 13 week class videos for us to watch because they enjoyed it so much. I am not a fan of the envelope system because it’s hard to put the cash in an envelope so you can put it back in the bank so then you can pay a bill. We don’t like that at all so we are trying to figure that out. But as far as us sitting down and talking about our money, well, I never thought I would end a conversation about money and bills with my husband and actually grin when we were done. We talk about money and for the first time in 15 years it is not a stress or argue point for us. We have a long ways to go yet, but at least we are aware of WHERE we are going. I have informed my husband we are not going to become one of those crazy people either….I think enough of you out there know what I mean by that. Which gets me to my point…why I dislike Dave Ramsey. I dislike Dave Ramsey because after all this time of loathing him, I actually found out that he isn’t all that bad. The things that my husband would say, “Dave Ramsey said we should do this and this…” well, he DID say you should do those things after you did a bunch of other steps that we hadn’t completed yet. I read the book and found that out and I might have pounced on my husband about it. Not like I didn’t have years of pent up anger or anything on that subject. As it turns out, we didn’t need therapy. We took the class with a genius with money (who happens to be the therapist’s father), one of my best friends who went through a job change and host of others and we actually had a good time. 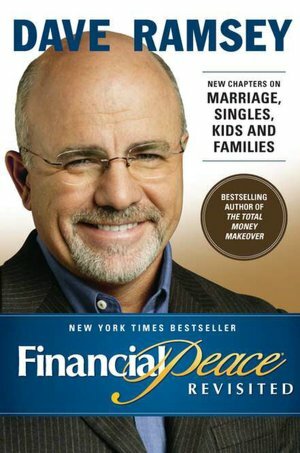 So, again, why I dislike Dave Ramsey…. Because now I have to eat a ton of crow. I mean, like a ton of crow. Because our pastor asked us – um, yes, US – to teach the next class. I feel this is Dave getting back at me somehow. Anyhow, I never ever ever ever ever thought I would say this, but, if you would like a good class on money, look at Dave Ramsey’s Financial Peace University. I actually recommend it. A lot. Great post, Denise!!! Thanks for sharing your story. It’s inspiring! We’ve been Dave Ramsey fans for years. Despite the (real) criticisms, the plan works! I haven’t taken the class…BUT my husband has and listens to the radio show all the time. I used to mock my husband (who also quotes Mr. Ramsey) until we went through a time of unemployment that lasted 9 months. With no unemployment benefits. And we never paid a bill late because of this massive emergency fund that my husband built. God set us up for that time in our lives! I loved this! I took FPU and it changed EVERYTHING. I was 30 with no credit card debt but who was using Sallie Mae to pay for college. I also was horrible at budgeting money. I had people in my group who had over 10,000 in credit card debit. I’m happy that I will never be in that place thanks to Dave, because I was well on my way. I’m now 30 with still no credit card debt, paying off existing student loans, working 3 jobs to pay for college with cash, and no car debt because it was paid off a year early. Dave is great, and I’m happy you and your husband took the class and it sounds like will continue to help others. Great job! My husband and I just finished our FPU class two days ago! I, too, went dragging my heels. But I loved the class. As far as the envelope system, we don’t pull out our monthly bill money and put in an envelope. Those bills get paid pretty quickly after we get paid, so we make sure that happens. Our grocery money and dining out money goes in envelopes, but that is all. I am self-employed so I am one of those “irregular” paycheck people, which can be difficult at times. We have started budgeting on a lower amount – because it does happen from time to time – and so far, so good. Good luck on teaching that class! I would love to help lead one for teenagers and young twenty-somethings so they don’t end up where we did. Denise, Thanks for your honesty and sense of humor! Your post is hysterical. I think a lot of women will relate to this. A friend recommended Dave Ramsey to me in my mid-twenties. I started the book reluctantly and actually threw it across the room in frustration! I took it back up again last year- no book violence this time! I, too, took the FPU class after lots of hounding from my husband. We just finished it two days ago. I loved every minute of it! One thing we don’t do is the envelope system for bills that we pay online. We tend to pay them pretty quickly after a payday, my husband has them all scheduled, so we don’t do that. We do use the envelopes for groceries and dining out, and it has worked great so far. I am self-employed, so have an irregular paycheck. Doing the budget based on a lower income has helped a lot because that does happen from time to time. Good luck teaching a class! I am interested in possibly helping lead one for teens and twenty-somethings. But we will see what happens. As a mom with one of each, I now see how very important this is! Sure wish my folks had talked about it more with me. If you don’t like physical envelopes, check out the software YNAB. Envelope system without the envelopes. And if you have iPhones, you and your spouse can be in different places with essentially the same envelopes in your pocket at the same time. Great blog! Long time Dave Ramsey fans here, too. Your background is so distracting though. Are those pot leaves I keep seeing? Love it! My husband and I read Dave’s book and paid off all our debt, but then we bought a house and have got ourselves in deep again. So we’re pulling out the book again and having these same serious money discussions that I HATE. He is the saver and bill payer and I am the spender, so OF COURSE I hate them. :) Thank you for this great blog post! Lol – love this story. Crow tastes a lot better debt free :) Enjoy your path to financial freedom. You’re blog is about to BLOW UP! Dave posted it on his Facebook page! Congrats!!! Your Blog is about to BLOW UP! Dave posted it on his Facebook page!!! Congrats! Advice for the envelope system from Dave. Dave Ramsey Article. You don’t put everything in the envelope system, just the things that are easy to use cash for like groceries, blow money, etc. We use our debit card for several things like gas, items we budgeted for that we buy online (i.e. books). We use auto withdrawals and bill pays with our checking account for a lot of bills. Dave will mention this on the radio from time to time. You do not pull money out just to put it back in. That should be very rare if that happens and generally an accident or you had a lot of money left over so you decided to put it back in. Love the post and admire your honesty. Dave Ramsey has helped me greatly. I too do not like the envelope system and am trying to work that out. You mentioned hating the envelope system. Wanted to encourage you in a system that works for our family. We found a credit union online that offers truly free checking, no direct deposit requirements etc, and we have opened up 5 checking accounts. We have an account for food, clothing, gas, blow & incidentals cash, and one account for bills. We have debit cards for the food, clothing, gas and cash accounts. We did not get a debit card for the bill account. Our checks go into the bill account and then automatically have transfers set up every month, or two weeks depending, to deposit the exact amount into the separate accounts that we would go get cash for. I never think is there money to cover the bills, because the money is in there. If I need to rob peter to pay paul a bit from the envelopes, I can just transfer between accounts. It still requires discipline to only grab and use the appropriate debit card for the appropriate charges but it works really well for our family. Plus the kids love the stickers on our cards. My husband put a hot dog sticker on his food card, a spool of thread on the clothing & personal care card, a hotrod sticker on his gas debit card etc. Good luck finding a system that works for you long term!! Love the post and your honesty. I am a Dave Ramsey fan. I do not like the envelope system though and I am also trying to work that part out. Found this post because Dave Ramsey linked it on his facebook account. It spoke to me because you sound just like my wife! Thanks for the post, I hope when we finish our FPU(currently week 3) that we can say the same things you said. Hi. Love your post. We went into the class with the same hesitations you did and even though we are on the path for longer due to our debt, it has helped us. As for the envelopes, we dont use them for bills per say. We use them for the things we buy, i.e. groceries, gas, personal money, etc. Things you can use cash for. For us it works to pull that money out of our account after each paycheck and then that’s it. No cards used at the store or anywhere ever. Our budget is pretty tight but it’s amazing how you somehow feel like you have more money each time you re-visit the budget. We’re paying down debt and hopefully will be out within the next year or so. Keep going, it’s worth it. I loved your honesty and sense of humor about it… My husband and I went through financial peace three years ago and while we are not perfect people Dave’s (Biblically based principles) really did sink in and save us. I really needed help budgeting my business and operating debt free. Funny thing is I didn’t even know we needed “saving” but it is funny how God get’s us to where we need to be when we need it most. I also highly recommend Dave’s Total Money Makeover online website for the support, community, forums and online tools after you finish the class. They are very helpful for keeping on track in the first few steps after the Financial Peace class sessions end. Kudos to you the Dave Ramsey team shared your blog post on their facebook wall! May also consider the Mvelopes program for non-envelope envelopes for budgeting. I have used it for over six years, and love it! Love it. I had similar feelings, but learned so much. Love your honesty! The Ramsey envelope system didn’t work for my wife and I either. Like it or not this is a cash-less society so we searched for something that would help us. We use http://www.mvelopes.com/ and it is awesome. Its a great tool, modern day envelopes. Also has apps for phones. I agree with Jared! YNAB (YouNeedABudget.com) is the perfect mate for Dave Ramsey’s program. We have been using it since September after around 18 months on the envelope system. I’m SO glad we switched to YNAB. Thank you for sharing. We have been married 25 years and are still working on the money thing. We co-facilitated the classes for 3 years and taught Crown Ministries for 10. I was trying to learn to love the money thing and over the years have learned to not hate it. I will say if you can talk about money, you can talk about anything. I love Dave Ramsey! I am slowly trying to gently reach my husband to finally make different decisions with money, and just get involved with me in all areas of our financial lives. We didn’t get this way overnight, so I know it’s not going to get corrected overnight. I keep praying for wisdom and the right words to use when speaking to my man about our money. As the mother of 4 boys also, I can relate to the food bill “discussion”. My husband just knew we could “cut that down”. He was so adament that I let him start doing the shopping to find the ways to save…as you know he couldnt…and soon increased the amount. We were all a lot happier. In place of the envelope system, we simply allocate the various items in a spreadsheet. Works the same as the envelopes but lots easier! Hey just read your post :) Love me some Dave Ramsey! After 14 months, we’ve paid off all our $11,305 in debt! I did want to comment about the envelope system. We pay our bills online first. and then we take what we need out for the month. If we know we have to pay for something online, we’ll leave that part in the bank and subtract it from what we take out. But, we both get paid once a month at the beginning of the month, so it works out for us. FYI – We use online “envelopes” for certain items, like vet bills and medical co-pays, that are not every month. I was too nervous having a bunch of cash. We use ING Direct’s free program and it’s linked to our checking account. It has worked for us. This made me tear up a bit. I am a fan, my husband is not. I pay everything, he lets me. :) Thanks for sharing! What a great article. My husband and I are actually teaching a class at our church and this Sunday will be our final week. We had taken Dave’s class prior and learned a lot, but not done it like it should be. So, we got back on track immediately with that Gazelle intensity. If you truly take the time and do these steps, your financial situation will change! It isn’t easy and it won’t happen overnight, but it is well worth the work and energy it will take. Congratulations on completing the course and best wishes as you teach the next one!! Found this post through Dave Ramsey’s Facebook feed. I was like you! I actually spoke to our church’s congregation and encouraged them to not be “the reluctant spouse.” I told my husband for 3 years that I would not do Dave Ramsey and that I wanted to stop hearing about Dave. Then my husband became a children’s pastor and he was in charge of organizing and promoting the new Financial Peace class over 6 years ago. I rolled my eyes, and drug myself to the first class! It was marriage changing, life changing and great! This is my story exactly! My husband fell in love with Dave Ramsey and got me on board. Now he wants to teach a class too. FPU can really change your life. Great post! We don’t do the envelope system but have our budget in an Excel file that works like envelopes. That may work for you, too. We’ve taught for the class for 4 years and love it. It is so great for community outreach! In February, we’ll be kicking off our 5th year. I’m like you…I can quote Dave on so many things. Ha! Dave Ramsey’s facebook page just shared the link to this blog post. It was a great read and I have now bookmarked your blog. Thank you for your awesome insight on something we have been wanting, but not wanting to do for years now. I read your blog through a link on Dave Ramsey’s facebook post this morning. I know where you are coming from, completely! Made me madder than a hornet when my husband, who didn’t have a clue about our finances, announced that we were taking Dave’s class. Well, we took the class, and while we aren’t doing all the things that Dave says you need to do (I still haven’t figured out a way to do the envelope thing that works for us. )we are much more in control of our finances, and we don’t fight about money hardly at all any more. We have taught the class for 4 years and will be starting our next one in February 2013. It’s great for community outreach. It can be hard to watch people’s face and expressions the first couple of weeks, but I love to hear the praise stories as the weeks go on. I love seeing smiling faces and that look of hope as the class comes to a close. I loved what you said about almost being able to quote Dave. I feel the same way. Ha! Have you tried envelope budgeting software? I use YNAB (short for You Need a Budget). It’s a virtual envelope system (no moving cash around) that works well with the DR method. It even cloud syncs with mobile apps for iPhone and Droid to keep up with your category/envelope balances on the go or with other users (ahem, your husband). I’ve been using it for a year. Love it! Great post! We have bee on Dave Ramsey for two years now and we are almost done with our last credit card! It’s been a loooong road, but definitely well worth it! Thanks sharing. Dave Ramsey’s facebook page shared your blog post this morning and I had to read it. We have been wanting, but not wanting to do Financial Peace for years now. We want to get our finances straight but who wants to fight? Your blog is now bookmarked. Thank you for the early morning coffee read! Great post! My husband has always been better at handling money than I have, but I was the one who had to talk him into taking FPU. And I’m so glad we did! It opened up our communication about money (and other things) and very possibly saved our marriage. I’m glad you took the class for your husband! And I hope you enjoy teaching! By the way, I found your blog post from Dave Ramsey on Facebook. You better prepare yourself my dear…Dave HIMSELF posted a link to your blog….so get ready for lots of comments! Woo hoo! Great blog! I am a big Dave fan and enjoyed the story of your conversion! Common Sense like your Grandma would give you! LOL =) Have a great day! I know exactly what you mean. I have not liked dealing with money my entire life. I have always been stressed out when talking about or dealing with money. I went to the first class about two months ago and was dreading it. I watched the first video where he talked about saving 1000 dollars. I just shook my head and said, “that’s impossible. You see I have never, in my almost 50 years of living, have been able to save a penny. I did not do the monthly budget thing because I HATED it. I did some of the homework; I only ended up reading one chapter of his book that comes with the package you get before you start class. Needless to say most of the time I sat in class with a bad attitude. However, by the end of the course, I found myself enjoying Mr. Dave’s humor. Good thing he is funny because I would have found the class to be such a bore without that humor aspect. Now that the course is over, I have a surprise, I have almost completed baby step one. Who would have thought that would have been something that could be achieved in my life? Wow, now when the next classes start I am going to do them again because the first go round I had a bad attitude. I am looking forward to taking it again, this time with the right attitude. Indeed to me, it was like that because listening to Mr. Dave, I could feel a change coming into my life, which I could not resist to become a part of. I am thankful to God for Mr. Dave and his teaching. I’m learning how to be debt free now and to do things I used to hate. Great post! I think my husband currently dislikes Dave for the same reasons you did! I’m hoping that I can get him onboard with taking FPU – I did it in undergrad and its amazing! OH and I found your blog because it is posted on Dave Ramsey’s facebook page! I’ve looked around and I really enjoy your writing style! we do the envelope system for thing we can pay with cash for example groceries, target, walmart, things we go to the store for. Blow money, birthday money, eating out money you get the idea. We usually end up with money left over in all categories for something else or next month. Great post! Dave actually linked it to his fb page! This is a great post – I, too, loathed Dave Ramsey. He was such a “fad” to me. But when I read his books and tried a few things, I sort of palmed my forehead. I have not been through the entire course and I know the envelope system would be like wrestling alligators with my husband, but we’ve put in place some of the basic principles and go back to them when things start getting off track. Good luck teaching your first one – sounds like you have a GREAT story to share! We will finish the class tomorrow! I have really enjoyed it. I started budgeting after week one and have revised it repeatedly. My hubby is still in collecting information mode so he can make the perfect budget-a source of arguments (one of which we had last night). I don’t use the envelope system for bills, especially those that need to accumulate (auto insurance, etc…) I put them all in a savings account and keep a running excel file with the deposit amount and totals for each ‘envelope’. That way I don’t get confused because there is a lot of $$ in that account and I can’t remember what it’s all ear marked for. I just came across your blog. I have been begging my husband for years to take the class and he refuses. We, like you, have 4 boys (ages 6, 4, almost 2, and 5 months). We do some of the Dave Ramsey stuff, but haven’t gone “whole-hog” yet. Thanks for sharing! I love Dave Ramsey. In this scenario – I am your husband and my husband is you! I’m always quoting Dave (I listen to his show daily) and I love budgeting! We went through the FPU classes and I found them to be quite a waste of time. They are targeted at a Junior High level on money management and only seem to help those that are completely oblivious to how money and finances work. I was disappointing in his in ability to offer anything that was not only rehashed, basic bill paying and living within your means. I would not recommend this class to anyone. Me and my wife tried the cash envelope system. Hated it. I felt like I was stuck with ten lbs. Of change to count at the end of each month. My wife was told by her cousin to download a virtual envelope app that solves that problem. It’s called EEBA. You can download it for iOS or Android. We tried it and loved it! It even syncs with your spouses phone so you can both be on the same page! I’m 23 and me and my wife have a blast at the end of the month seeing how much money we saved! Good luck! We don’t use envelopes for things like mortgage or utility bills. Instead my husband used Excel to make a custom spreadsheet, and we do our zero based budget there. All the bills are listed, and each envelope category. So when we pull cash out of the ATM every Saturday, it is only the amount needed for the envelopes such as Grocery, entertainment, lunch, clothing, etc. He simply writes a check for whatever bill is due that week, and we are done! Me and my wife tried the cash envelope system. Hated it. I felt like I was stuck with ten lbs. Of change to count at the end of each month. My wife was told by her cousin to download a virtual envelope app that solves that problem. It’s called EEBA. You can download it for iOS and Android. My wife and I love it! It even syncs with your spouses phone so you can be on the same page with all your cash envelopes! Cool huh? I’m only 23 and my wife and I have a blast seeing how much money we saved at the end of the month using EEBA! Give it a shot and let me know what you think. Good luck! SO proud of you, good job :) Dave’s Facebook page has a link to your post this morning, that is how i got here :) keep up the good work. Good luck! We did the program and have been debt free, house included, for almost 4 years. I promise it is worth the work! You just got recognized with a link to this blog by Dave on his Facebook page! Love your story!! We’ve gone through Dave’s class once and now have coordinated it 4 times. As for the cash in the envelope, here’s what my husband does, he puts marks by all the items on our budget that we need in cash and he only takes that amount out of the bank (we have direct deposit). He makes tally marks by each denomination, $1-$100 for the bank teller so he has the exact denominations for each envelope. He gets home with the cash and distributes it in its respective envelope. I hope that helps you a little with the problem you are having with taking cash out of the bank and then having to put it back in. I had the opposite experience. I was the one listening to the radio show and quoting him. My husband grew to hate the name “Dave.” For Christmas he got me The Total Money Makeover, and as we were cleaning up, he started leafing through it. Hours later, at 1:00 am, he finished the book, woke me up, and said, “Let’s cut up our credit cards!! !” I thought he meant the next morning, but no, he wanted me to drag myself out of bed that very minute! Dave’s ideas are so common-sense-practical that anyone can do them! Enjoyed your post! We have used the Mvelopes system ever since we started Dave Ramsey. Living in DFW we don’t like carrying a lot of cash on hand. We’ve used it for years with great success. Great story! We have been using the Total Money Makeover for over a year now. We use mvelopes.com to manage our envelope budgeting. It is a virtual envelope system that syncs with your bank accounts to download transactions and allocate your budgeting and spending. The smart phone apps give you access to your balances, transactions and even allows you to pay bills. Even my kids each have a spending and a savings envelope. Every time we go to the store my kiddos say, “Mommy, how much money is in my allowance envelope?” They know that they can only spend what they have, and they save for bigger items. –Mommy to a 9 year old and 6 year old triplets. Great post. Just FYI, you can do the envelope system without the envelopes online with Mvelopes.com. It is the best thing ever. We pay for everything with our debit card and both of us can look at our “envelopes” any time. Congrats! I love hearing the other end…you’re like my husband. We’re now going to lead our 5th FPU class, and I’m a trained counselor. It does work and it’s hard to go back. ***For your virtual envelopes…look into different banks. Mainly credit unions. We have a local one that I can split up the savings account into as many categories as I want. The bank views it as one account, but it’s many for me. I do a lot of shopping on-line…3 boys don’t travel well with shopping! :) Congrats, good luck! I am loving the envelope system but also share the dislike with you that I didn’t want to pull money out of the bank to put it in the bills envelope to put it back in the bank to pay the bill. I discovered that my credit union will let me add multiple savings accounts so I have one for mortgage and a separate one for bills and keep the envelope money in those accounts, then transfer the funds to pay the bill online. We do the envelope for everything else, but that has been a slick solution for those 2 items. Love your post, thanks! I’m not a fan of envelopes either. I just need cute ones. I “liked” some cute ones on etsy not knowing I have the Etsy app on FB & my DH noticed! He surprised me with them! Now we just need to decide what will be cash and what will be debit. I hate paying for gas with cash- especially in 115°F Phoenix heat! Ha! I love this – I actually had a VERY similar experience! We also struggled with the envelope system, and paying bills online. SOOOO….I made my budget spreadsheet and marked the items that were paid online (mortgage, utilities, student loans, etc) and only withdrew the cash for EVERYTHING else. Since doing this, I have never had to put any money back in the bank. If I had $400 left at the end of the month, I would withdraw my next month cash LESS $400 to keep me from accumulating a bunch of cash in the house. Good luck with leading the next course! Another alternative to physical envelopes: if either of you is comfortable with spreadsheets, create one which has columns as “envelopes” and rows as “transactions.” Keep a running total at the top of each column, and every time you add a new transaction (including distributing a paycheck), the relevant envelopes’ totals will increase or decrease accordingly. If you use Google Docs, you can make updates from any computer, although admittedly it’s cumbersome to try on a smartphone. Make a new spreadsheet for every month or year to keep them from getting too large. You’ll want to figure out how to keep the amounts up to date with plastic or electronic payments, or check you’ve written, that haven’t cleared your bank account. FYI – I’m not “into” the envelops either, but have figured out this way around it. We have a checking account that is separate from our normal checking account. That account is for things like car insurance, property taxes, clothes, etc. that we know we are going to have to pay, but do not pay every month. We budget out how much per month needs to be deposited into the account and then use that account for those types of expenses. It works well for us and we do not need to worry about all of the cash laying around the house. We still use cash for groceries and entertainment type stuff – the cash system controls our potential overspending in these areas. Love it! I’ve been listening to the radio show for over a year, and we were pretty frugal before. (In fact, I even wrote a book about saving money at the grocery store!) But Dave Ramsey has helped us be in better financial shape than we’ve ever been! It was fun to hear your story! Great article! Yes- “Because Dave says” has been a quote of ours for years, but it is real commitment for us to get in there and LIVE it, esp being in commission sales. But he is awesome and a great resource to always come back to, even when we get offtrack. Thx for posting! Loved your post. I too wasn’t looking forward to taking the Financial Peace Seminar at our church…I’m what Dave calls a ‘free spirit’, my husband is the financial planner. All-in-all it’s changed our lives! You mentioned not liking the envelope system…we don’t either. My husband found this website: http://www.mvelopes.com/ We have a lifetime membership & we love it. Basically it’s a digital envelope system! It’s great!! hey look a know it all doesn’t know it all. i feel your pain. I just finish lesson 8 in this class and I get that pit feeling in my stomach just reading about it here. At my bank I opened 3 checking accounts (all no-fee and interest bearing). The first is our “Primary” account – direct deposits go in there and there’s not ever much of a balance, it’s more of a clearing house. The second account is one we call “Freedom” – this “envelope” account is used for auto payments of credit cards (they’re almost gone) and car payment (only 3 more payments). After our debt is gone we will use this account for the things we used to use credit cards and loans for so we can remain in a state of financial “Freedom” which is why we chose that name. The third account is called “Monthly” and this “envelope” account pays those yucky bills that just keep coming every month and will never go away (utilities, car insurance, etc). We have all of our payments (credit cards, loan, utilities, etc) set up on auto payments. We have a weekly amount (our pay is weekly) automatically taken from our “Primary” account and put into each of our 2 “envelope” accounts. The weekly amounts cover the amounts coming out plus a tiny bit more (our budget is super tight). This has allowed us to SLOWLY get ahead and build a slight reserve in our “envelope” accounts (our goal is 3 months – not quite there, but closer than we were). The fabulous thing (in my mind) is that I don’t ever have to spend time to take care of these expenses. They are all automatic. I just do a once a quarter evaluation to make sure we are moving money between the accounts in the most efficient way. I saw a link to your post on FB. I enjoyed reading it. I too, am amazed at the fact that my husband and I can now talk about money and end up not only getting through it without fighting, but we also end up happy. Strange, but true! We love FPU at our house and have been using the system for 3+ years. I just wanted to comment on the use of the envelopes. We don’t take our bill money out in cash, we just write it in our budget. The only things we take out in cash for the envelopes are our variable expenses like food, clothing, babysitter $$, entertainment, family extra and our kids’ commission money. We also have envelopes for our long term savings/big ticket items such as Christmas presents and vacation. But our money for electric bills, water bills, cell phone payment, cable bill, that all stays in our account. Loved your post. I too was hesitant about attending our church’s Financial Peace Seminar…I’m what Dave calls ‘free spirited’, my husband is the financial planner. Dave Ramsey has really changed our lives!! We too don’t really like the envelope system, but my husband found this website http://www.mvelopes.com/ Basically, it’s a digital envelope system. We love it! We have a lifetime membership. So thankful I was willing to take the classes with my husband!! Great post made me laugh. Nice job on taking the time to try and prove your husband wrong. It took me about a year to get my husband to go to our FPU class. Just keep on taking those baby steps and life gets so much more enjoyable! ~~I also came here from Dave’s FB Post! I love Dave Ramsey!!! However the other day my 11 year old said I dont like Dave mom he never lets us do anything. Then my 13 year old followed with ya we used to always go out to eat now we are on a budget!!! I love it I wish I knew Dave Ramsey growing up I wouldnt be in the situation I am. We have a long way to go but have paid off thousands already. It has been a huge blessing in our lives. We are making some drastic changes and becoming “those” people, but we’re to the point where we don’t care what others think about us. We would rather be debt free and enjoy life and travel and save for retirement and pay for college for the kids. That stuff is more important to us than what the Jonses next door think. You are awesome for doing this! Keep up your hard work. You should check out neobudget.com for your problems with the envelope system. There is a free option plus I believe a pay option that allows a little more flexibility. My wife and I use it. It is pretty simple and you don’t have to mess with cash. It is the easiest online envelope system I found. I feel like you are in my head. Your experience before and after Dave are so like me. I am so grateful that I finally gave in, too! Tee hee! Blessings on teaching the next class! I have the self-employed, non steady income and the “envelope system” that worked for us was a combination of a spreadsheet as mentioned by Shelia and marking escrow lines in the checkbook register. I use the spreadsheet for items that are deducted from the budget frequently but paid out a couple of times a year. For example, insurance or gifts. So the checkbook register gets a “transfer to savings $100” notation and the spreadsheet gets at “$75 to insurance fund, $25 to gifts fund” entry. I have the sheet set up to automatically add/subtract and show the totals at the top of the columns. Naturally, groceries, etc, are cash envelopes. Look at EEBA for envelope budgeting using bank accounts. I also found some of Dave annoying…some of his rants, etc. LOL But alas, his class years ago helped me (a single mother of two teens) get by and end up successfully out of credit card debt in less than two years. Afterward, I taught the class for two years in my church. I have since shared some of the wisdom from this class to others. So yes, Dave IS annoying but in a good way. I’m convinced his wife has said the same thing!! Great blog!! I took the class last year and loved it. I found your post via Dave on FB. GREAT story! BTW, check out the EEBA (Electronic Envelope Budget Assistant) app. I do almost all my bill paying online and thus, like you, didn’t want to mess with taking $ out, putting $ in, etc. The bank I use is on the other side of town too. EEBA is very handy, especially since I always have my phone on me. Great post. Just wanted to let you know that I, too, was not a fan of the envelope system…at first. There are astericks on my budget that indicate what “accounts” are “envelope accounts”. All of my bill money and gas money stays in my checking account. The rest is divied up into the envelopes. I write a check out for cash for the amount I need with a Post-It attached for how I want the cash back, right down to the penny. I use my debit card for gas because I ALWAYS pay at the pump. Hope this helps. – Jo, mom of 3 girls and 3 boys – I understand your joys and your pains! Thank you for your post. Isn’t it great when you actually plan your finances. Thanks for sharing. Isn’t it great when you actually plan your finances. The words “Dave Ramsey” have become very common in our household lately. My 12 yr old boy actually stated “I really don’t like Dave Ramsey!” when told he was going to the 3 envelope system, but now he admits it is working out well. As the Free Spirit in our home, I’m finding I sometimes do better than the Nerd at sticking to the budget! Yay me!! I have been working Dave’s program loosely for over 10 years. I say loosely because my husband was like you and felt that ‘B’ word was a bad word and money talks for us never end up pleasant. Thank you for giving me a glimmer of hope! I found your blog post on Dave Ramsey’s facebook page. I enjoyed it. We’re also DR fans and it really is a lifestyle change for the better. We have attended 2 FPU classes and have facilitated 3. So many say they don’t like the envelope system. All I do is go to the bank once a month and take out a certain amount of money to fill my envelopes. We pay our regular bill online and transfer $ into our savings account for emerg fund and 4-6 months expenses. We have envelopes for groc,eat out,personal (hair,etc)entertertainment,clothing, Dog, gifts,Home maint.We each have blow money in our wallets. I use a debit card ONLY for gas. The idea of the envelopes is to FEEL the money leaving your hand and learning that when it’s gone, you’re done. It prevents overspending in these categories. Many posters on here, are good with apps and websites, but many are not so that is why the envelope systems works so well for us. It does not take the place of the cash flow plan and the allocated spending, but works in concert. We eliminated $140,000 in three years and woking on Baby Step 3. I was able to retire, my husband likes working and our income is less than half of what we used to make and we are doing just fine. I hope this encourages anyone who reads this. BTW, my hubby was the one who went kicking and screaming. Now, he’s a believer. It’s never too late to get started. I didn’t read the comments so pardon if this has been said. I leave bill money in the bank and use bill pay and then I pull out our cash for envelopes. So the only time I have to re-deposit is medical bills or if we need to buy something online. I do not use the envelopesystem either. Instead I opened several accounts: Household checking account for housing, utilities, food, etc., hooked to household savings for large purchases for the home, Emergency checking and savings account, Transportation checking for car expenses (gas, oil, repairs, etc), hooked to Car Fund savings to save for a new car, Entertainment checking for eating out, movies, etc, hooked to Vacation savings and Lord’s checing for tithes and missions hooked to Lord’s savings for offerings and giving to help others. Thanks for these wonderful words, Denise. As I read them, I felt the Lord confirming to me that I need to really need to be more serious about Dave Ramsey’s words. I’ve half heartedly looked through his book, but I’m confident my wife and I need to sit down and start making some changes. Thanks for the post! We use an ap called eeba. It allows for virtual envelopes. We can use it on computer or phones. I too always struggled with not liking cash envelopes. Haha, great post. I know what you mean about being associated with fanatical fans. It’s so irritating! There is an EEBA app for the iphone that I just found out about that you can do virtual envelopes. heres a tip – i do the envelope system for these categories: Dog (food, pee pads), groceries, car, gifts, miscellaneous, fun money, restaurant money, Vet bill money, medical (co pay money). Those are all things I can pay cash for. EEBA has an app w/ virtual envelopes. I have not tried it yet, but it is suppose to be good. Awesome post! I never in a million years thought I would ENJOY a class about finances, but I LOVED FPU!! And I actually enjoy listening to him on the radio now, too. My husband and I are still doing our baby steps. It’s hard, but at least we are headed in the right direction now and not digging the hole any deeper. Very cool.I found your blog because Dave Ramsey recommended it on Facebook! You’re famous! Awesome! I am so happy for you. WTG! I do not like the envelope system either at least with cash, however I was introduced to an on the computer (not online) envelope system, called Snowmint creative solutions, here is the link; http://www.snowmintcs.com/ I have all the needed envelopes set up on my flash drive where I save it after I make my transactions, I use these envelopes as my check register, and it helps me stick to my budget…plus it is very user frendly! We took FPU several years ago, because we learned from my parents how it feels to be broke, sick, and at the end of our rope. We helped them and wished they had had this system. We made up our mind that we did not want to end up I that position. We have been able to have only our home and a piece of property for retirement as debt. My dear sweet husband was always on top of our finances. Suddenly 3 1/2 months ago my husband went from making $184,000 plus bonuses to making 120,000 w/no bonuses boy what a shock. So, having a full funded emerg fund a as allowed us to take a goo long look at our future and now my hubby is retiring and starting his own business. We would have never been able to do tis w/o Dve Ramsy’s plan and a budget. It will not be easy, but it is exciting to see my dear hubby so excited about working for himself. So hang in there it is all worth it. So, I am a complete stranger to you, but I am a fellow Dave Ramsey-er. My husband and I have been married 12 years and completed the course just about 1 year ago and we have paid off ~$75,000 in student loans! I too hated Dave Ramsey, mostly because what I had heard of him was not true…Now, I wish we took the course 12 years ago! Anyway, just wanted to encourage you to keep up the gazelle intensity! We are half way through our debts (yes, only 1/2 way!) and it already feels AMAZING and FREEING! God has blessed our every effort and multiplied it! Keep it up and good luck! I was the one that suggested we sign up to take the class – I was getting frustrated with paying the bills and seeing the credit card balance increase. Turns out I’m the free spirit, my husband is WAY better at managing our money, and HE has now taught the class twice! We only have envelopes for a few things – groceries, household items, clothing, eating out. We sometimes set up temporary envelopes for travel, birthday party expenses, Christmas. We save up for these things all year, and just get the cash when we need it. My husband uses YNAB, and a friend of mine suggested EEBA (but I could never quite figure it out since our monthly envelope amounts sometimes vary). Hi! I just read your post and enjoyed it. I took FPU last year. Anyway not the point of my comment. I did the envelope system for about six months. Then got sick of all the envelopes. I discovered an app for my phone called “back in black”. If you like the idea of the envelope system but dislike carrying them around then you might like to check out that app. It is for iphones, but might be in other app stores too. Enjoy! Loved your post! My husband and I took the Financial Peace class last January and are loving it. We also did not like the whole envelopes of cash thing, so we found an online “envelope” system that is really nice. it is called Mvelopes.com. My husband and I received the FPU classes as a wedding gift, so we started this process shortly after we were married. Boy, has it helped not only our spending, but our saving, and our marriage! We are so open about money and talking about it. We have been using the envelope system for groceries and ‘fun’ money. Any leftover grocery money we have at the end of the month will just roll in to the next month’s grocery fund, although I am pretty good about getting the food for the month at about the same price every time. We have a joint checking account and a joint savings account (although that is now our emergency fund). We started a mutual fund and we are putting away money each month from paychecks. We are overpaying on our house payment (by more than $100 a month) and hoping to pay more per month when I have a more steady job (just substitute teaching now), and I am 24 and husband is 29. I don’t think we would be having this ‘gazelle’ intensity had it not been for Dave. Loved the post. My husband and I found Dave Ramsey through a friend and it has made all the difference. We have different styles and the course gave a framework to use when talking about money. We will retire next year debt free and be able to feel free to travel and enjoy the grand kids. I recommend it to anyone who will listen because it will change your life. We use credit cards but pay in full every month (always) and record every receipt in a detailed budget app. Then we review it every month. Works great for us. Hi, Denise! I’m in a similar boat with my husband…except reverse. I jump up and down excited about budgeting, while he cringes at the thought of putting our down-to-the-penny-budget together. I was wondering what your remedy to the envelope system is/was? We’re trying to figure that one out now. Denise – U ROCK!! Just want you to know that I love your blog!! Tell Jason (JAKE) i said HI!! Maybe this will help your family out with the envelopes? As far as the envelope system goes, I have heard a lot of people don’t like it. Well, it saved us. It is the tangible money in my hand that I love to count. My husband and I have lots of envelopes, probably more than most people, but we decided what we wanted to put money aside for and we take out everytime he gets paid. I am a realtor so when I get a commission we put it on our smallest debt. This year has been amazing!